The National Gallery of Australia (NGA) is the national art museum of Australia. 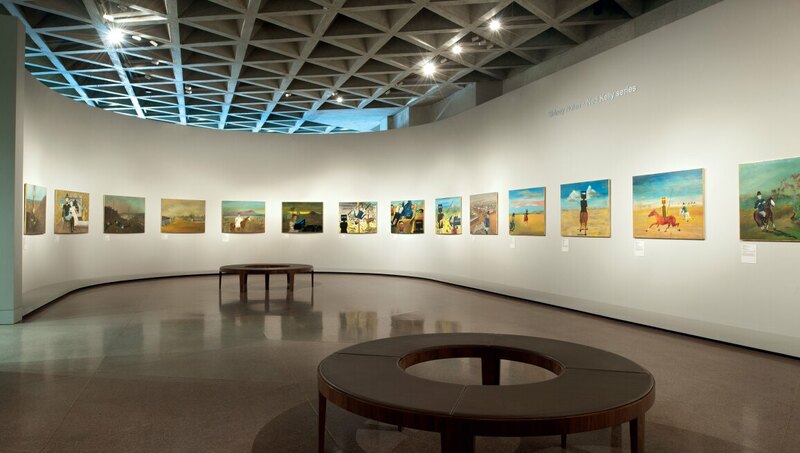 The collection, of more than 166,000 works of art, focuses on Australian art, Aboriginal & Torres Strait Islander art, Asian art, Pacific Arts and European and American art. Notable works by Jackson Pollock and James Turrell, and the Ned Kelly series by Sidney Nolan are among the famed highlights from the collection. As the focal point of the Australian art world, the museum has staged retrospectives of major Australian artists such as George Washington Lambert, Richard Larter, William Robinson and Mike Parr. Since its opening in 1982, in addition to offering a diverse and ambitious programme of exhibitions within the building, the NGA also coordinates traveling exhibitions throughout Australia and internationally.